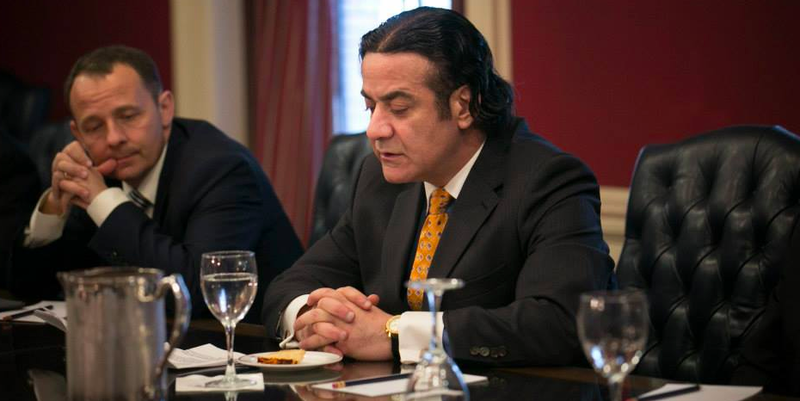 President and CEO of Blackhawk Partners, Inc.
Ziad Abdelnour, Wall Street financier, trader and author is President & CEO of Blackhawk Partners, Inc., a “private family office” that backs accomplished operating executives in growing their businesses both organically and through acquisitions and trades physical commodities – mostly oil derivatives – throughout the world. Ziad Abdelnour is also Founder & President of the United States Committee for a Free Lebanon (USCFL) – America’s premier pro-Lebanon lobby and Founder & Chairman of the Financial Policy Council – a public policy-oriented organization with an objective of educating and informing the public about economic and fiscal matters. Moreover, He is a Member of the Board of Governors of the Middle East Forum and the Former President of the Arab Bankers Association of North America. Since 1985, he has had a hand in over 125 transactions totaling more than $10 billion in the investment banking, high yield bond and distressed debt markets. To many, Mr. Abdelnour is widely recognized for playing an integral role in the global capital markets. Before starting Blackhawk Partners, Ziad Abdelnour had many senior positions with numerous Wall Street firms including Drexel Burnham Lambert’s High Yield Bond Department where his responsibilities included investing, financing and restructuring more than 100 companies covering the industrial, manufacturing, consumer, logistics industries in the United States as well as emerging markets throughout the world. He is also co writer of the research report Ending Syria’s Occupation Of Lebanon: The U.S. Role. Since the publication of his research report in June 2000, he has been a leading force in forming the US-Lebanon Policy debate towards Freedom in his native land and a heavily desired analyst regarding issues belonging to economic and political events in the Middle East at large and Lebanon specifically.